There is no easy answer to this and honestly, I find myself answering the same questions over and over again. I decided it would be easiest for all of us if I sporadically made “how to” posts. Now, from the title of this post, you’re probably all excited and thinking I’m going to teach you how to format your eBooks and print books. Uh, no. You have to walk before you can run, and believe it or not, the very few times I read for newbie writers, most have no idea how to format their documents. So we’re starting there. First of all, there are multiple formats you can use to write a book. 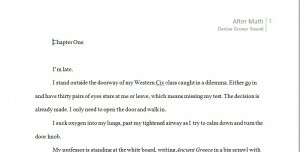 Word, Scrivener, writing by hand… For this post, I’m going to presume you’ve written or are writing you book in Word. That’s how I do it. 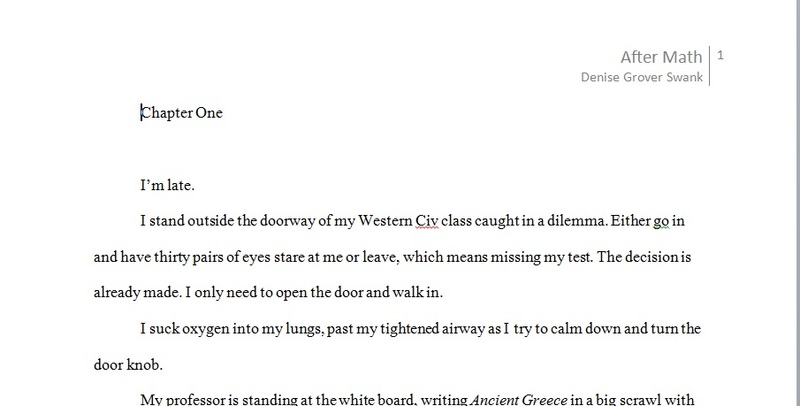 The very first thing I do is change my font to Times New Roman and font size 12. Next, I change my paragraph information. 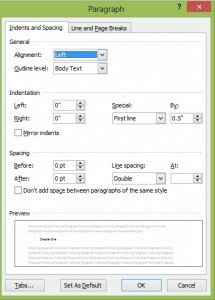 Word automatically puts your text single space with a 10pt space between paragraphs. You do NOT want this. 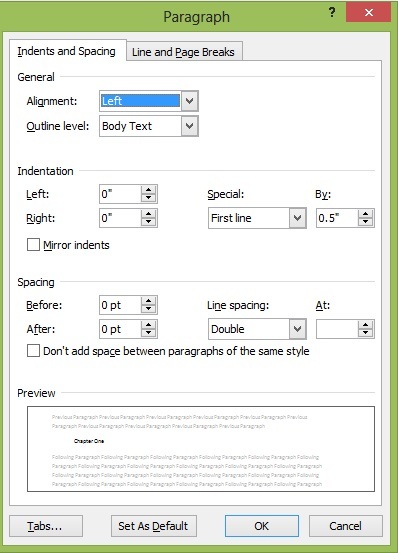 Make you paragraphs left justified, 0.5″ indent, double space, with no spacing between paragraphs. Another thing I do right away is insert the title of my manuscript, my name, and the page numbers in the header. You can use any header you want, but most industry professionals like for your information to be on the right so I use a template header in Word that has all of this information. Okay! Now your document is set up and you’re ready to write a book! Don’t let that blinking cursor intimidate you! Next in this series will be about critique partners and beta readers. If you don’t think you need them, you’re fooling yourself.